Someone get that annoying track-like structure in the foreground out of the way. Ewan Wilson was just an ordinary guy when he founded Kiwi International Airlines in 1994. By April 1995, he was just an ordinary CEO of an ordinary small budget airline, providing cheap airfares for trans-Tasman flights and battling with rival Freedom Air. In late 1995, Wilson was just an ordinary moronic fraudster, making false claims about his personal financial situation as he applied for a loan for Kiwi Air. This led to Wilson becoming an ordinary stupid prisoner for the next three months for having acted ‘without moral regard’. Funnily enough, Kiwi Air never got that loan, and in September 1996 became just another airline going into voluntary liquidation, leaving hundreds of passengers stranded on either side of the Tasman. Around the same time, this building ceased to be Kiwi Airlines’ Sydney office, but didn’t cease to look like it. These days, Ewan Wilson is just your ordinary disgraced former businessman, current Hamilton city councillor, and cancer patient. 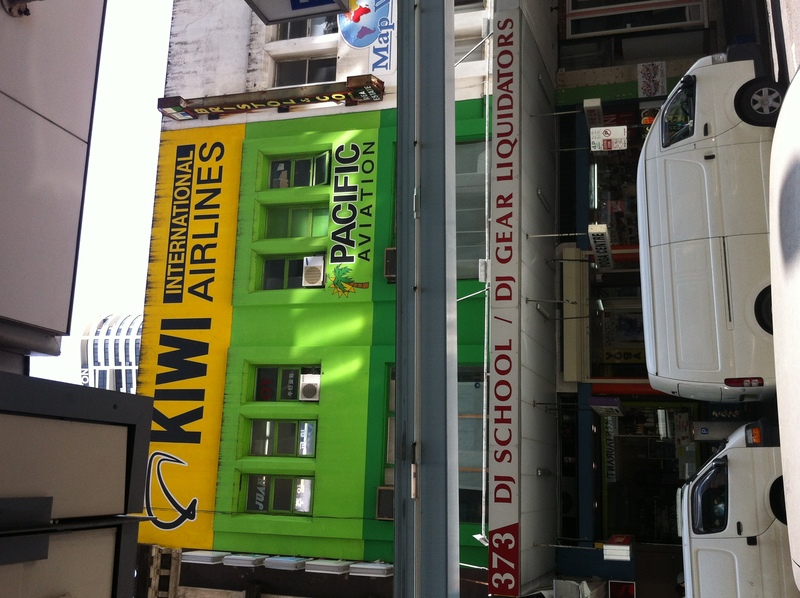 Meanwhile, DJ School and DJ Gear have gone into business as liquidators. I had no idea the DJ game was so tough.